Throughout the day, we'll offer store-wide product samples so you can get a taste of our product selection - from delicious in-house specialties, to baked goods, wines, spirits and fancy cheeses! Hot dog cart with delicious premium hot dogs from Boar's Head, for $1! 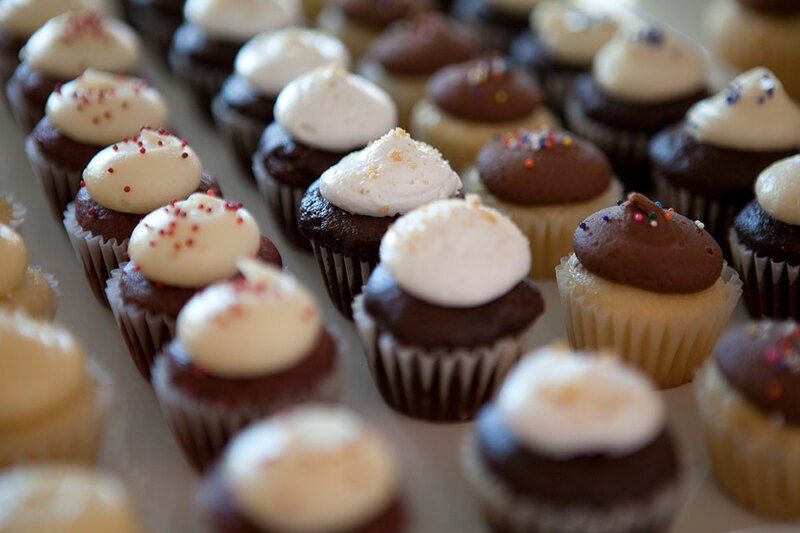 We'll pass out free mini cupcakes and other give-aways throughout the day! * While supplies last, image does not represent actual cupcakes to be given out. To commemorate our half birthday (6 months in business), our 6th customer spending $60 or more will be surprised with half off their entire grocery bill*! * Maximum of $100 discount ($200 total purchase) for qualifying purchase to receive the Half-Birthday half-off promotion. Live music from a local band, featuring an eclectic mix of tunes that makes you happy! From 11 - 2, we'll have cookie decorating for the first 100 kids to come by! And not just any cookies... can anyone say Unicorn? You might remember her from previous events like our grand opening.. and now Holly, our talented face painter is back, and with awesome new (real!) unicorn horns, graffiti sleeves and body bling! She will help us all shine as we celebrate!